They sent creepy drawings. Then a record. And now, apparently not getting the memo that the game's been delayed until 2010, the BioShock 2 marketing team has sent directions about where and when fans need to be on Saturday. 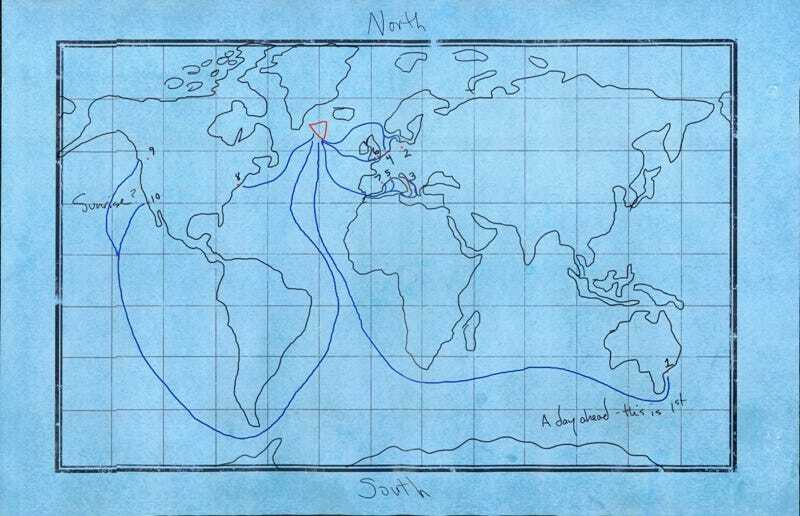 The preceding map and following note arrived in the Kotaku NYC offices today, pre-wrinkled and purportedly written by one Mark Meltzer who is searching for his daughter (hey, Mark, she's probably somewhere under the sea.) This make-believe man is going to be at Jones Beach, Long Island, NY this Saturday, August 8. Or so he says in his note. He's even specified his expected latitude and longitude as well as the times and locations of nine other key beach spots to check out that day. Also notable is how the writing of this letter differs from a similar document posted on the BioShock 2 hype site. I've not been following the ins and outs of this campaign, so I have no idea what will appear on the beach on Saturday, August 8. I'm hoping it'll be a guy in a Big Daddy suit.